Nestled on more than 10 miles of uninterrupted sandy beach, Bucerías has just about everything you’d hope to find in a Mexican beach town. 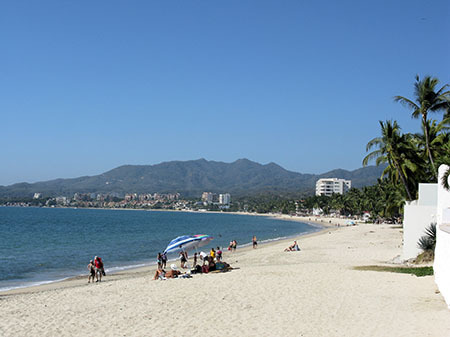 The beaches are long, sandy, and relatively uncrowded and unspoiled when compared to those of nearby Puerto Vallarta. The cobblestoned streets see their share of visitors, but nothing like the throngs of tourists and cruise-ship passengers that visit its far more popular neighbor to the south. Bucerías is fairly low-key… but it’s not the quaint fishing village that some writers describe. In fact, it’s better; it has the infrastructure and amenities of a much larger town. Bucerías can stand on its own as a retirement or second-home destination. The climate here is magnificent during the North American winter with warm, dry days and cool nights. The average high in January is just over 83°F (28.8°C), while the average low is down at 62°F (16.7°C). But it’s hot in the summertime, with August temps averaging almost 93°F (33.7°C). That may not sound like much if you live in Arizona, but humidity at this time runs about 70%… so it feels a lot warmer. Ocean temperatures are fairly warm all year… at least by my South Jersey standards. In January, the sea temperature hits its annual low of about 75°F (24°C), and will go as high as 86°F (30°C), sustained between August and October. The rainy season runs from June through October, with most rain falling between July and September. Dawn-to-dusk rainy days are unusual though, and afternoon showers are the norm. Bucerías was a remote village at one time. In the 1940s, it consisted of just seven palapas (open-sided, thatched-roof dwellings), and it was very difficult to travel here, especially in the rainy season. It remained isolated until 1955, when it finally got access to a paved road. Today, getting to Bucerías is really convenient. It’s only 11 miles (18 km) from Puerto Vallarta’s international airport, which has an amazing 16 nonstops to cities in the United States. And, what’s far more remarkable for Latin America, PV’s airport has nonstops to 14 Canadian cities, too. With a population of only 13,000 people, Bucerías has more than its share of great dining options—places like Mezzogiorno or Mark’s Bar and Grill—as well as a row of beachfront restaurants serving great seafood. I had a wood-grilled lobster dinner at one for just over 10 bucks. Thursday is Art Walk night, when the local galleries open up to visitors, sometimes serving a drink or snack to those stopping by. The Art Walk is quite popular, with galleries staying open late to accommodate local patrons and guests. The colorful artisan market in Bucerías is a big attraction for visitors. You probably won’t go there as often as a full-time or seasonal resident… but you’ll enjoy showing it to your out-of-town visitors when they come. For the day-to-day needs, there’s a large, Walmart-style supermarket (Mega) on the south end of town. So Bucerías may not have Puerto Vallarta’s wealth of nightlife, restaurants, shops, activities, and amenities… but it stands up well. And of course, part of Bucerías’s attraction is that the world-class tourism infrastructure of Puerto Vallarta is not far away… about 40 minutes or so from Bucerías to PV’s Centro. I separate Bucerías into three property markets. One is the walkable-to-the-beach areas along the coast, and on the ocean side of Highway 200 (the road to PV). This is the prime area for American and Canadian second-home owners and expats. Properties here can run from US$180k up into the millions, depending on their size and location. Next is the area of Bucerías that lies inland of Highway 200. Here you’ll find a “real” city (as opposed to the idyllic city along the beach). In this sector you’ll discover some nice neighborhoods and nice homes, as well as a few more run-down areas. I saw large, modern homes here in decent areas starting at around US$160k. Finally, you’ve got the outlying areas farther inland, east of Bucerías proper. I saw a number of nice gated communities in this area, with large homes well-suited to full-time living. Los Mangos, for example, is an attractive gated community with about 25 modern, roomy homes and maybe an acre (about 4,000 square meters) of common green space. A house of around 2,500 square feet (232 square meters) will cost you around US$300k. There are a few homes for sale in Los Mangos at this time. My personal preference is the first area (easily walkable to the beach), despite the increased cost of buying here. This zone will be better for resale, and has more opportunities for finding a good rental property. On the beachfront, a house or villa will be expensive… upwards of US$1.5 million for a nice home. But beachfront condos are somewhat more reasonable. I saw a nice beachfront project with a high-end condo for sale. The terrace offers a superb ocean view, as does the glass-walled living room. It has an open kitchen with good stainless appliances and granite counters. The 152-square-meter (1,635-square-foot) unit includes three bedrooms, three baths, and wood finishings that give it a luxury feel. The asking price is US$530,000. For a nice location at a better price, I’d go a few blocks inland but still on the ocean side of the highway. Here, I found an ocean-view penthouse in a low-rise building just a couple of blocks from the water. The terrace of this unit looks down the street to the ocean, and the apartment is walkable to all the downtown restaurants and shops. The apartment has two bedrooms, two baths, a laundry room, and a private rooftop terrace, while the building also offers a pool, BBQ, and parking. The asking price for this one is US$325,000. Four blocks from the beach, you’ll find a two-bedroom, two-bath house with a guest cottage and garage. The inside looks dated, but the outside wall and gates give the house good curb appeal. There’s lots of greenery out front and trees in the backyard. The asking price is US$240,000. 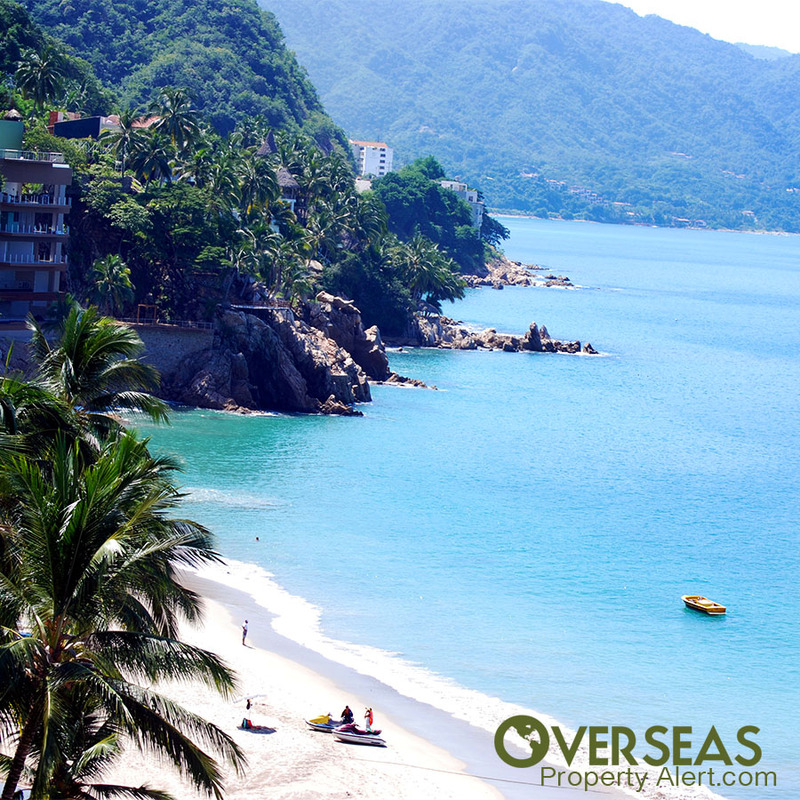 Bucerías occupies a secluded corner on the beautiful Bay of Banderas… the bay that gives Puerto Vallarta its intrinsic beauty. The beaches are clean and relatively uncrowded. The town offers great dining and good tourism infrastructure, and has the necessities for daily living while being convenient to the international airport. If you want an attractive beachside lifestyle without the big-city crowds and annoyances, then Bucerías is a town you should definitely see. Isn’t it true that when one buys a condo, there are condo fees and other costs involved? …and that these can escalate at any time without warning? This one factor is reason enough for me not to buy one, no matter how attractive the deal. Yes, indeed, condos come with condo fees (aka Homeowner Association dues), as do homes in planned communities… as they do in the United States and Canada. When calculating your overall costs, it’s important to consider condo fees along with maintenance and property taxes, and on rentals, property management fees, advertising, etc. I’ve scratched many a property off my list because of exorbitant condo fees. Condo fees will be disclosed at the time of purchase as will the process for raising them. If the building is brand-new, the fees are an estimate. Once the units are sold, the HOA may establish a different fee. Normally, fee increases are subject to approval by the residents, or at least by their elected board of directors. During the Colombia seminar in April we may want to buy an apartment in Medellín. We want to send the money for the purchase in advance (the correct, legal way for a home purchase), so that if we find a place we can close quickly. Also, if we decide not to buy in Colombia, I’d like a way to easily get the money back out of Colombia. And while in Colombia, I may need to withdraw some of these funds to live on during an extended stay. I will need a good agent, as well as a furnished rental if I can find one. For those without a Colombian bank account, the best way to bring funds into the country legally is through a foreign exchange intermediary… they’re like a brokerage. I personally use Alianza Valores, and so do most of our readers. You’ll get excellent service, great products and accounts, and personal attention. Contact Angela Sanchez to find out what you need to open an account. Funds coming into Colombia need to be registered at the central bank, and how they’re registered depends on their intended use. The funds for the property should be registered using Form 4 (for foreign direct investments), while the spending money comes in on Form 5 (money to be left in Colombia). A single transfer may be divided between these two forms. For a good real estate agent, contact Rich Holman of First American Realty Medellín. Rich can also hook you up with a good furnished rental… he has over 100 of them. I was told I can’t own land in Mexico or South America. True or false? False. You indeed can own land in Mexico and South America. I’ve purchased land in four South American countries and titled it in my own name. Another property was in the name of my 401k. 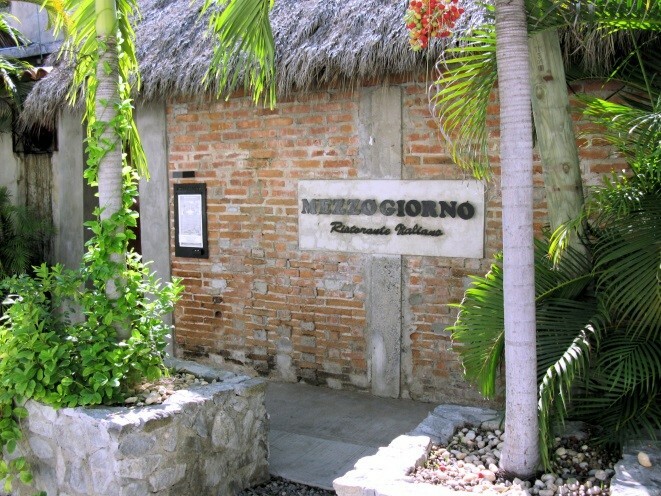 In Mexico, I created a trust to hold a beachfront property. Some countries have special requirements for owning land on their coastline (I’ve seen this in Brazil and Mexico) and others have restrictions on large agricultural tracts of land. But I haven’t found one yet where I couldn’t own the property at all. Have a question? You can write to Lee (or Renato) here.